No one should have to fear getting hit by a car when leaving the house. But unfortunately, pedestrians have to be more cautious than ever, because drivers are more distracted than ever. At Elk & Elk, we represent bicyclists, walkers, runners and other pedestrians who have been hit by cars, trucks, motorcycles and other motor vehicles. Cleveland is a busy city, and pedestrians are everywhere. While most pedestrian-car collisions take place in crosswalks, they can happen anywhere: in downtown Cleveland, in the suburbs, in parking lots, in tourist areas, at Cleveland Hopkins International Airport, by Lake Erie – anywhere. Free consultation: No matter where your accident occurred – in Cleveland or elsewhere in Ohio – learn about your legal options in a no-cost consultation from an attorney at Elk & Elk. Call 1-800-ELK-OHIO to get started. The vast majority of pedestrian accidents could be avoided if motorists simply paid attention to their surroundings. Unfortunately, mistakes by motorists are a grave concern to pedestrians. Pedestrian deaths and accidents are getting more common. Distracted drivers: Sadly, one of the most common causes of pedestrian accidents is distracted drivers. When drivers text while driving, talk on their cellphones or use apps, for example, their full attention is not on the road. This is bad news for anyone walking, biking, running or crossing the street. 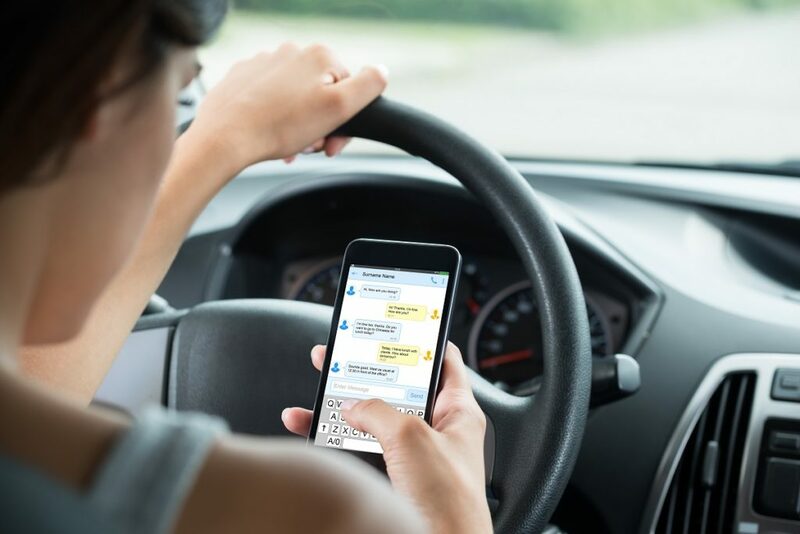 Many drivers justify distracted driving (“It was just a quick text message”). But studies show you can drive the length of a football field in the time that it takes to send a text message. Failure to yield the right of way: Pedestrians on sidewalks about to cross an intersection have the right of way. Unfortunately, some drivers do not understand or obey this law. Additionally, some drivers may be so distracted that they do not see a pedestrian about to cross the street. 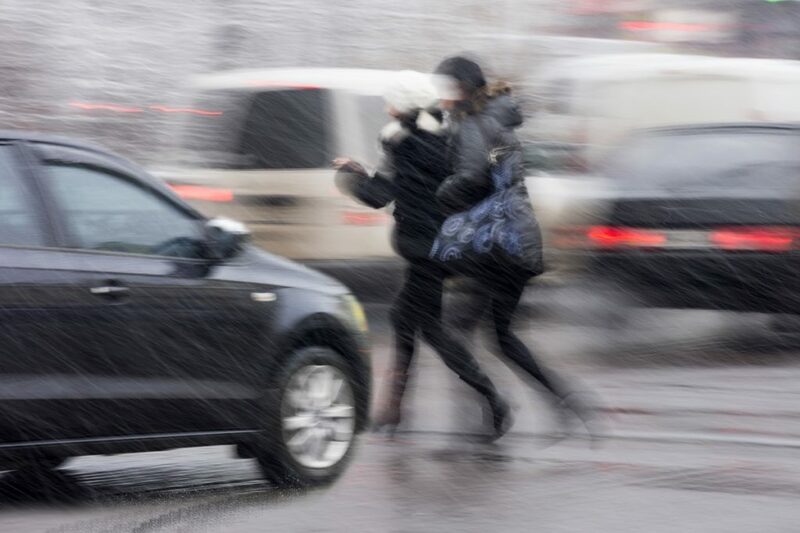 It is especially important for drivers to obey these laws in pedestrian-heavy areas, like those near West Side Market, Quicken Loans Arena, Progressive Field, and University Circle. Failure to signal: When a driver does not signal a turn, pedestrians do not know where the car is going. Suddenly, the driver may make a turn, and the pedestrian will have no time to react, resulting in a collision. Dooring: Drivers who park on the street should check before opening their doors. Bicyclists can hit suddenly opened doors and flip off their bikes, causing serious injuries. Failure to make a complete stop: Some drivers fail to come to a complete stop at a stop sign. They coast through the intersection without looking to see if anyone is crossing the road. Poor sidewalk maintenance: Some pedestrians are injured due to poor sidewalk maintenance. Property owners may fail to fix uneven sidewalks caused by tree roots. There may be cracks in the sidewalk. The surface may be slippery. Property owners have an obligation to ensure that their sidewalks are safe. Injuries to the lower extremities: The most common injuries in pedestrian accidents affect the lower extremities of the body: legs, knees, thighs, ankles, feet and hips. This is not surprising, considering the height at which most vehicles strike pedestrians. Injuries to the head, face and neck: The pedestrian may be thrown to the ground upon collision. This can result in serious head, face and neck injuries and loss of consciousness. The victim may suffer a brain injury, lacerations to the face or a serious neck injury that results in paralysis. Injuries to the upper extremities: The most common injuries to the upper extremities affect the arms and shoulders. Additionally, many pedestrians suffer injuries to the elbows, forearms, wrists and hands. Injuries to the thorax: The thorax, the area of the body between the neck and abdomen, is frequently injured in accidents involving a car with a sloping bonnet, or hood. This includes injuries to the rib cage, diaphragm, sternum and lungs. Spinal injuries: Injuries to the spinal cord were found to be much more common in victims 40 and older. This includes injuries to the cervical, thoracic and lumbar spine, such as disk herniations and vertebral fractures. Abdominal injuries: Victims may be hit directly in the abdominal area, which can cause serious injuries to internal organs, internal bleeding and bruising, and more. Pelvic injuries: Pelvic fractures and other pelvic injuries were found to be much more common among women than men, especially those over age 40. The cost of treating a serious injury due to a pedestrian accident is extremely high. In addition to the initial costs of treating the injury, the victim may require ongoing medical care. The victim may be unable to work and provide for his or her family. At Elk & Elk, we account for all the ways your life has been changed by your accident. This includes both the short- and long-term expenses you face. We will work hard to understand how your injury will change your life and help you seek compensation to ensure that your financial needs are met now and in the future. Our No Fee Promise: We take cases on a contingency fee basis, so you don’t have to worry about the cost of hiring an attorney. Our costs are covered through a percentage of the amount we recover on your behalf. If you or a loved one has been injured in a pedestrian accident, learn about your legal options from one of our personal injury attorneys in Cleveland. Simply call 1-800-ELK-OHIO or complete our online contact form.